This French classic is said to have been invented by accident in the 1860’s at the Hotel Tatin, in the Sologne region of France. 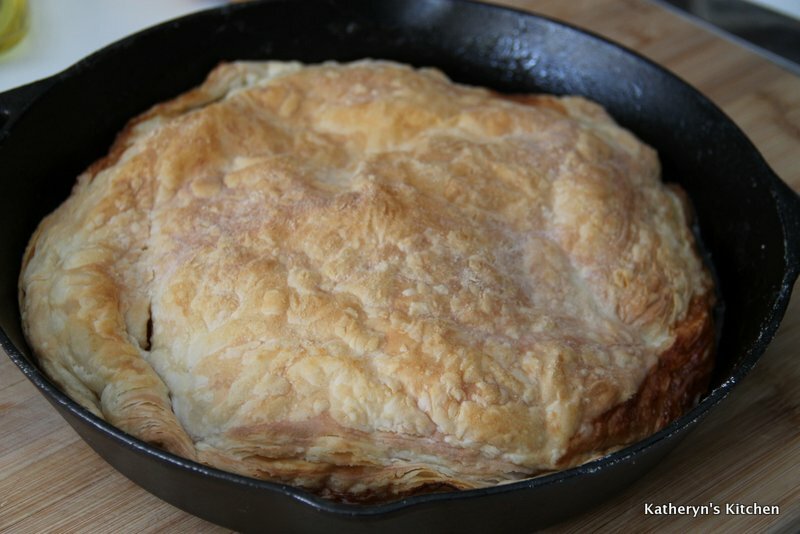 I cheated and used puff pastry for my crust but classically more of a pie crust is used in this recipe. 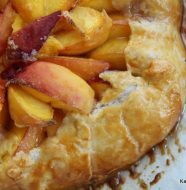 Not only do I like using the puff pastry because it is so convenient but it stays crunchy, even once the caramel has soaked in. 1- 200 gram block of pre-made puff pastry- I buy Tenderflake brand- there are 2 blocks per package. Thaw as per directions on box. Roll out on floured surface, to about a 12 inch round circle. Flour the surface of the dough well after rolling it out, fold in half and then in half again. Place dough in a ziplock bag, and place in refrigerator until ready to use. 8 granny smith apples or whatever apples you have on hand- I used a mix of gala and honey crisp- if your apples are really sweet, cut back on the sugar a little. 1. For the apples: Preheat oven to 375° F. Peel, quarter, and core apples. 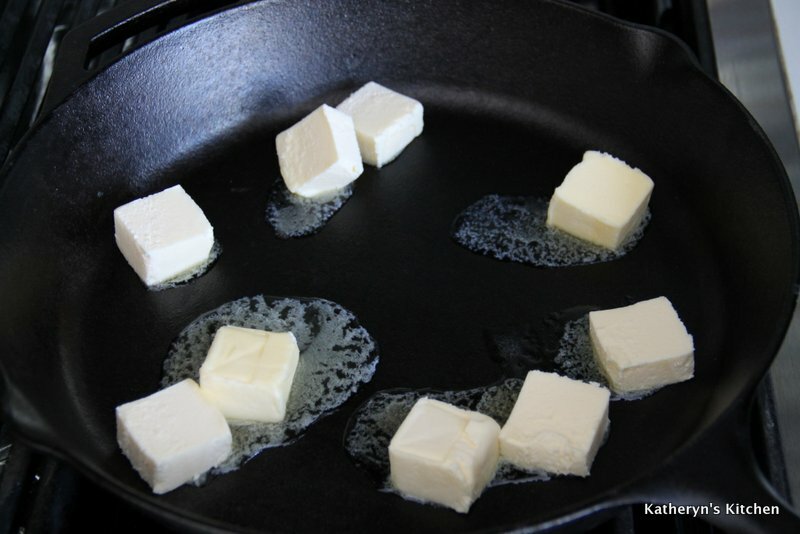 Melt butter in a 10″ cast-iron skillet over medium heat, then remove from heat and sprinkle evenly with sugar. 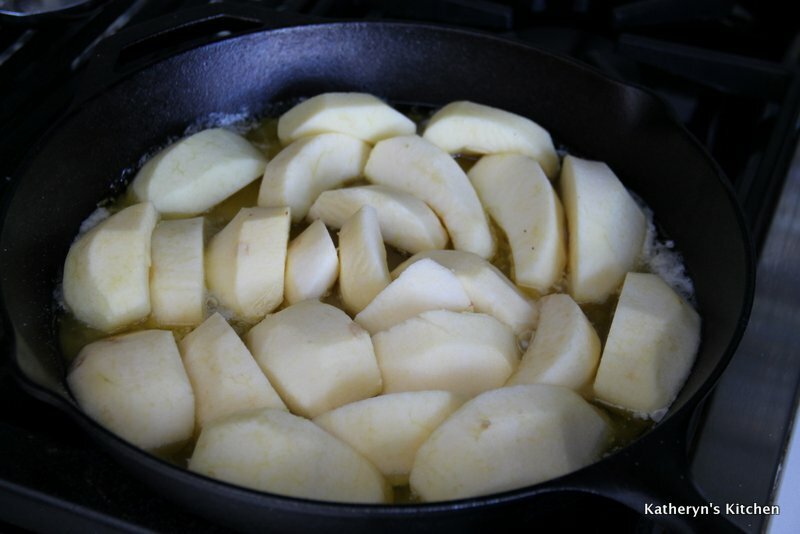 Tightly pack apples around inside edge of skillet, standing upright on their sides, nestled against one another. 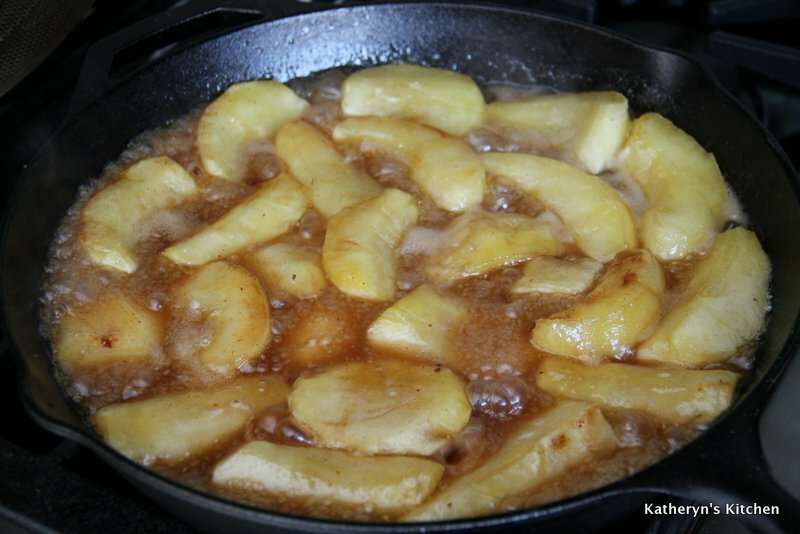 Arrange remaining apples in similar position in center of skillet. (Apples will shrink as they cook.) Sprinkle the surface of the apples with the cinnamon. 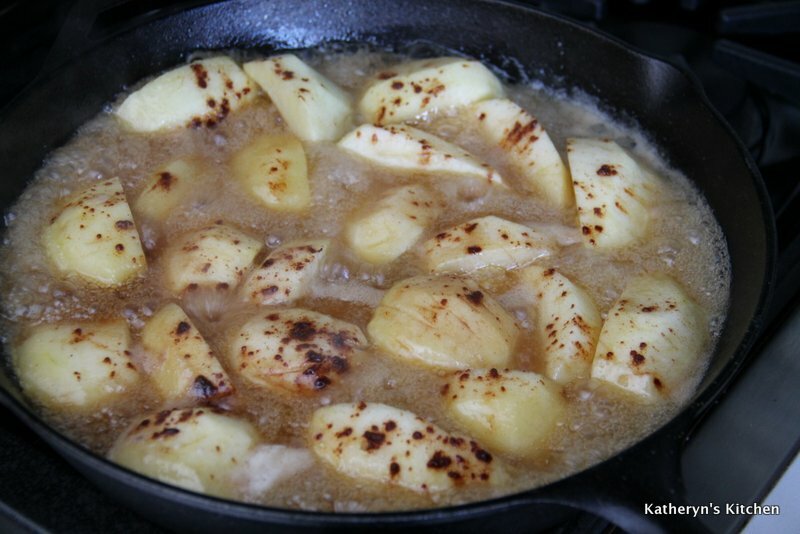 Return to high heat and cook until butter and sugar caramelize to a rich brown, about 15 minutes. 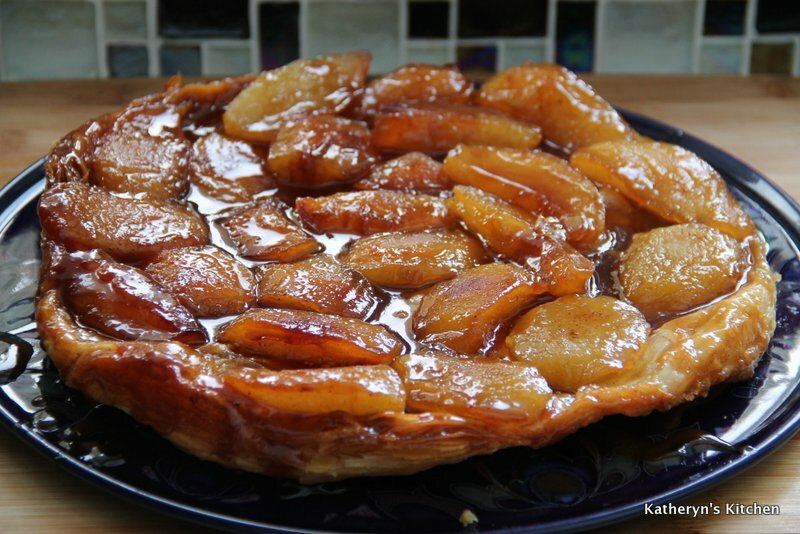 Pour teaspoon of vanilla extract around the cooked apples(will bubble up a little). Remove from heat, then carefully turn apples over to uncooked side with a fork or tongs, taking care not to burn your fingers. Return to heat and cook 7 minutes longer. Remove from heat. 2. 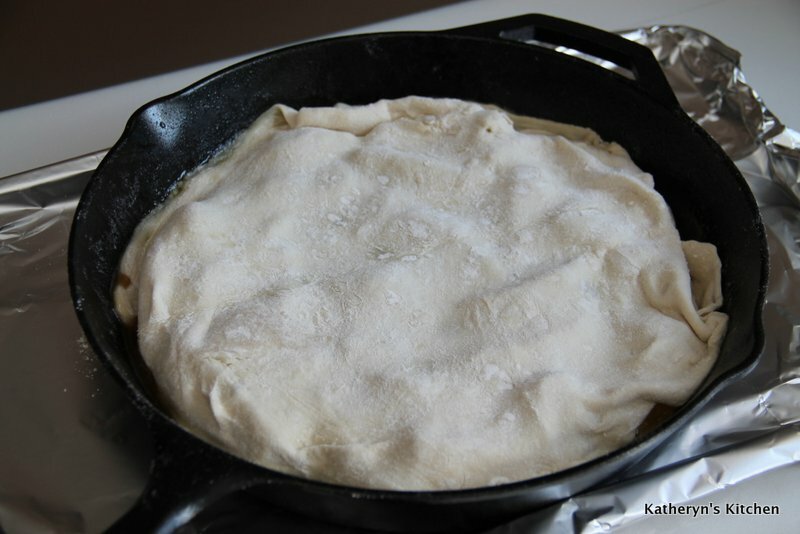 Drape rolled out pastry over apples and skillet, then tuck overhanging dough between apples and inside wall of skillet. Bake in oven until pastry is golden, 20–30 minutes. Allow tart to cool for 15 minutes, then loosen edges with a knife. 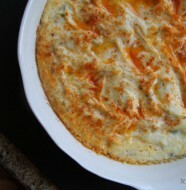 Place a platter on top of skillet and invert quickly and carefully. 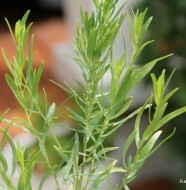 Serve warm with vanilla ice cream or whipped cream, even a little creme anglaise might be nice.